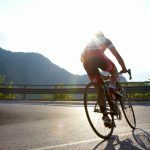 The longest hill climb in Arizona, Mount Lemmon is Arizona’s quintessential climb that provides a rare combination of sustained climbing, excellent road surface, spectacular vistas, and importantly, an escape from the 100+ summer temps in Tucson. 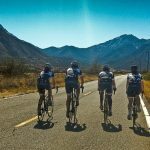 One of the best parts of Lemmon is that it a world class climb right in Americas greatest road biking destination – Tucson, Arizona. 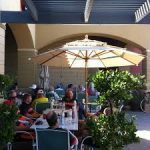 ROAD BIKING, TUCSON, Arizona – Start your ride by parking in the Madera Village shopping center parking lot in front of Le Buzz Caffe – one of the best bakeries and coffee shops in Tucson. Do water up as there are no water stops on the way up! 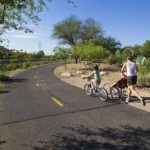 Cyclists start off at about 2,557 ft surrounded by saguaro cactus and mesquite trees and climb as high as 8,198 ft to pine tree vegetation and crisp cool air. The road is in great shape with a bike lane for most of the ride. On the way down there is no need for a bike lane because you will be keeping up with traffic. There are few descents that rival Mount Lemmon. You will smile as you enjoy the twisty, turney ride downhill. For those who are advanced road cyclists, you can keep up with traffic. For those who are not, feather those brakes and be careful going down. Mount Lemmon has been a regular training ground for Lance Armstrong and many cyclists. Hang out at Le Buzz and you will see many top professional and even celebrities mocha up before the big ride. For us amatures, we need to keep it to coffee. To add 2.89 miles and 760 ft of climbing to the ride you can climb up to the Mt Lemmon Ski area. Just before Summerhaven toward the top of the ride turn right on Ski Run Rd.